You've probably been a personal trainer for a few years and your calendar is fully booked most times. You earn decent money, but you feel you spend your life in the gym, or between client sessions and have less capacity to hold a social life, not to mention a relationship or family with kids. Going on holiday is often tainted by fears that you may lose clients while away. That’s when most trainers decide to venture into online training. We, at PT Distinction believe that you need to have hands-on experience to make it in the online world. You need to be able to get results for people in person, so you will be able to grasp what it takes for your clients to be successful when working with you online. Fitpro forums and even our PT Distinction community is often asked the same questions from newly aspiring online trainers on how to get started. What’s the first step? As with everything, there are many ways to skin a cat, and the specifics will depend on your market, your skills and niche. 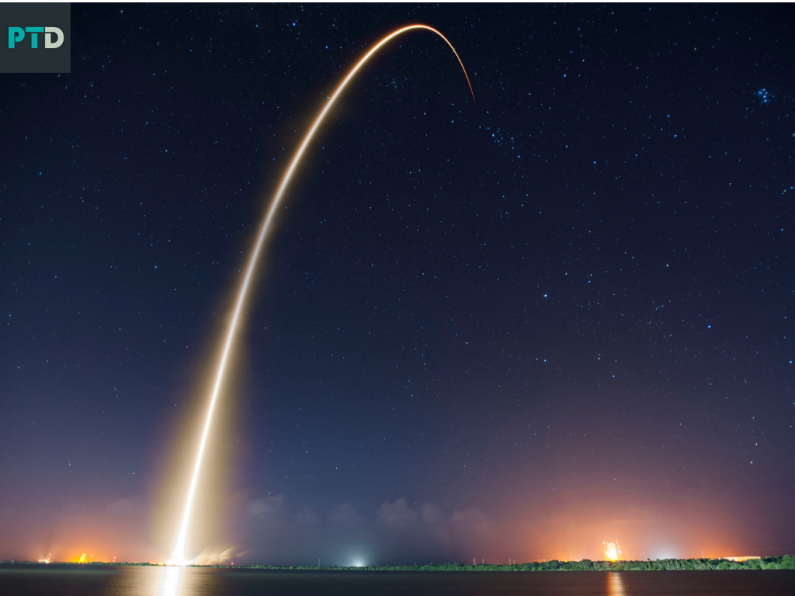 However, there are 5 key elements to a successful online launch, learn more about them below. Most trainers report that referrals are a big part of their new leads. Making purchasing choices based on recommendation is also key in the online world. Statistics show that 63% of online consumers are happy to pay up to 15% more for a product if the reviews promise a better experience. This is where your current clients’ success stories come into play. When people come across your website or online profiles on Facebook or Google, they will look for social proof that you can do what you say you can do. Getting clients to leave reviews and send you testimonials is challenging. You just need to be persistently providing an excellent service and ask them to tell all about it everywhere. It can be fitness related online forums, relevant LinkedIn or Facebook groups. Find the places where your ideal clients are trying to find the solution for their fitness problems and help out where you can whenever you can. This way you’ll establish yourself as the go-to guy or girl in your niche and when people will decide to hire someone, you will be the first on their mind. Write blog articles, create YouTube videos, launch a podcast if that’s your thing. Just put out as much value for your prospects as you can and use the opportunity to grow your online audience. On your blog keywords and the SEO settings will play a vital role to boost your Google ranking. Creating and promoting lead magnets, such as a free challenge, that solve a specific problem of your ideal clients linked to email marketing software will help with building a strong email list, just ensure you keep them engaged by continuously providing them with value content via your blog. When you have more time to focus on Search Engine Optimisation, connect with other fitness industry businesses leading in their field and offer them an article on a topic of their choice in exchange of a link back to your website. Responding to the needs of your ideal clients is important, especially initially when you are trying to take off with your online business. You will have the chance to shape and generate demand once you are established as an online coach and have a good reputation. At the start however, running a survey to find out what your target market actually wants, and needs is useful so you know what kind of packages and services to offer that people will buy. Finding the fine line between charging too much or too little is only challenging if you don’t know exactly how much work you will need to put in. Once you know what your potential clients need, you will be able to estimate your workload and assign a pricing that you will be confident to put on your website and promote online. Analysing the data from the survey results will also give you directions on what niche to choose. Niche is something not many PTs can comprehend fully and struggle to identify. While in person you don’t have to have a niche to be successful, in the online space you will have a better chance to be found by people who need exactly what you offer if it has a specificity. Once you have your online packages nailed down, it can be useful to beta test to see if they do what you hope they do and have a better understanding what the job involves. A good way of doing this is offering a limited term service for free to a selected number of potential clients in exchange for feedback and testimonials. What you don’t want and need at this point is too many time wasters, so ideally you will only promote your free offer to warm audience, people who know, like and trust you already: email subscribers, Facebook friends, ex- and current clients. At the end of the free term, you interview the attendees to find out how you can improve, and you never know, you may just gain your first online personal training clients from it.